This mirror is fabulous! It has built in wall hangers and its wide enough to get a look at 2 people at once. I am very happy with my purchase! I was packaged nicely and was delivered fast. Great purchase! 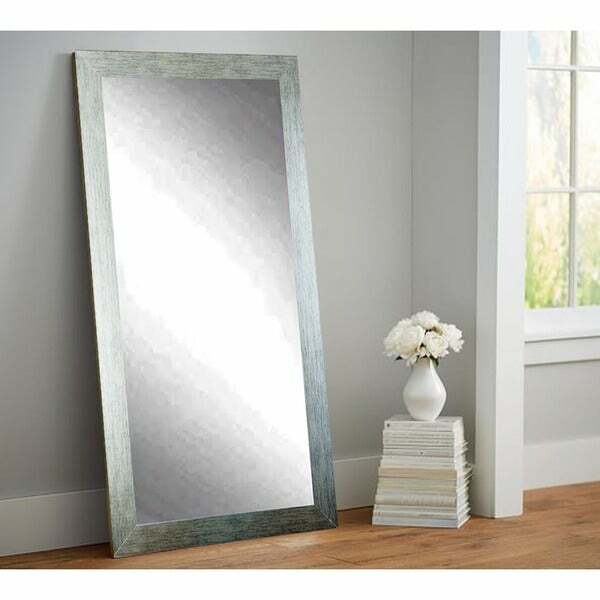 Glam up your bathroom or bedroom with this organic silver tall vanity mirror. This full-length mirror has an MDF frame with a nickel finish for a sophisticated look. "Is this frame strong enough to install hinges so it would act as a door for a secret room"
"Can this mirror be wall mounted?" Yes, this mirror has 4 hooks on the back to mount horizontal or vertical.